Today is Backstage Pass day! I generally upload my maps 8-12 at a time to the blog and start writing up posts to go with them at that time. If you are a patron of my Patreon Campaign, however, you can get advance access to these maps before they go live on the blog. 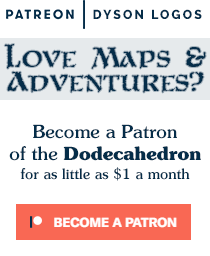 Roughly once a month I put out a backstage pass zip file to all patrons of the campaign at the $1 / map level and above containing the maps I just uploaded to the backend of the blog. So, patrons, head over to the Patreon page to get October’s selection of maps! This month is a bit different for me because it includes a few maps that were designed entirely digitally – although my experience with them has me sold on future work being a mix of traditional ink and paper work that I will then fiddle with digitally (adding shadows, shading, etc – the things that get messed up by the way I scan and prep my maps if I do them on the paper). I just don’t find the act of creation to be as fulfilling when I do it entirely digitally. As soon as I get through my October commission deadlines, I’m going to be updating the Patreon campaign with some new goals and rewards – especially for those of you who have been here to help me get to the point of being a cartographer for Wizards of the Coast, Kobold Press, and Steve Jackson Games among the dozens of companies I’ve worked with. So, impatient to get this month’s maps? Or just like the convenience of a nice .zip file of them every month? Head on over to Patreon to get yourself a backstage pass!